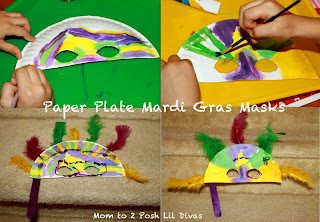 Google+ Mom to 2 Posh Lil Divas: Easy Paper Plate Mardi Gras Masks & Pancakes! 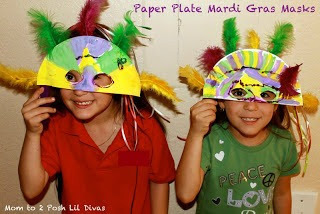 Easy Paper Plate Mardi Gras Masks & Pancakes! 1. 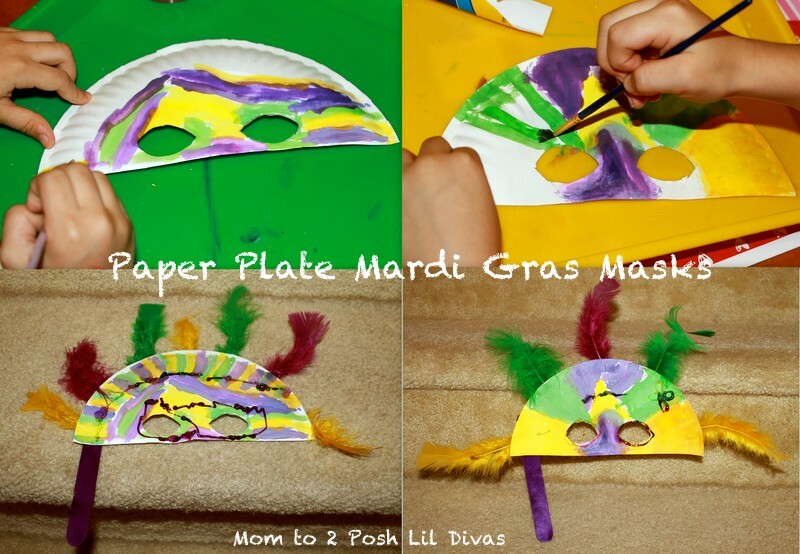 Take 1 paper plate & cut it in half, using 1/2 plate for each mask. 2. 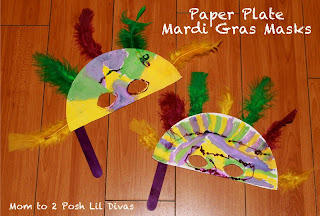 Fold the 1/2 plate in half again and cut out eye holes. 4. Add feathers as desired. Didn't they turn out cute? 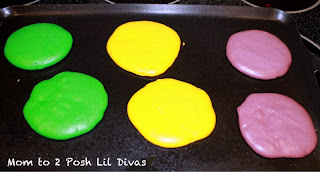 so eating weird colors and shapes, isn't new to them. 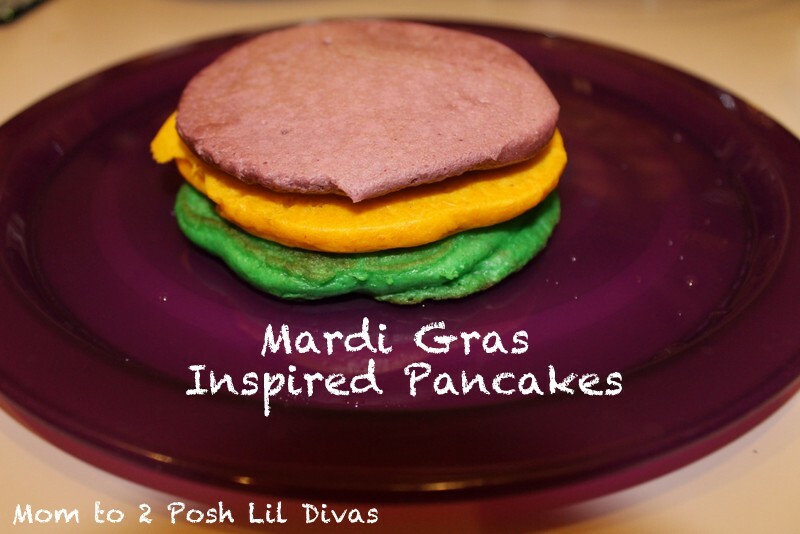 in festive purple, yellow & green Mardi Gras inspired colors! oh, how I love my griddle pan! It gets used so, so much. 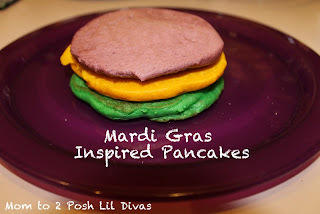 Mardi Gras, just isn't Mardi Gras without music! Have you seen the Music/Sound Shakers we made last year? 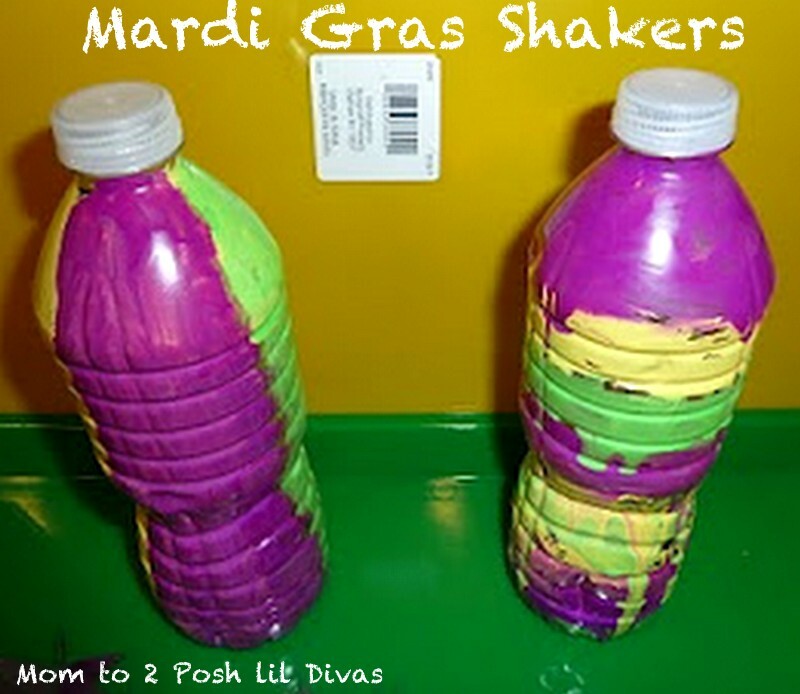 How did you spend Mardi Gras or Fat Tuesday? Did you indulge in any sweets/goodies? 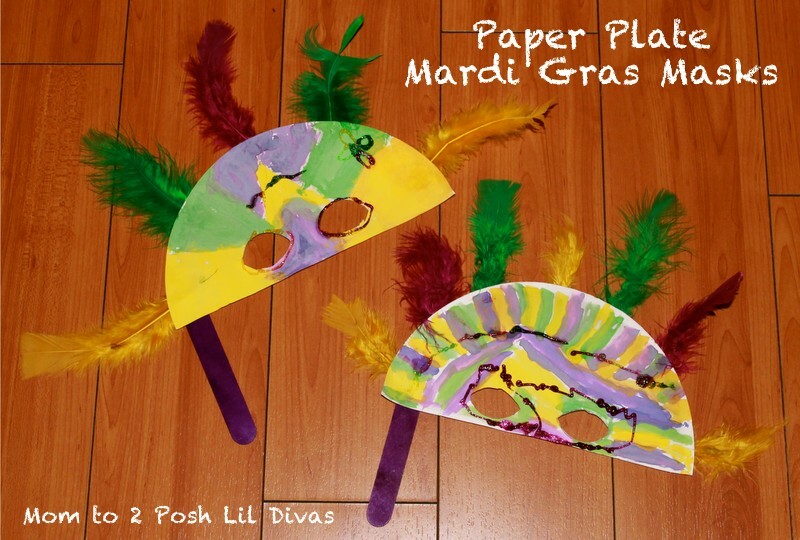 The masks look very simple and cute. FABULOUS!!! Visiting from Chaton's World (http://chatonsworld.blogspot.com). I'm your newest follower and would love for you to follow me too! Have a great week!